On our outreach in the African bush here in Mozambique our team pulled into a small rural village with a storm. We stayed up late in the night showing the Jesus Film and giving testimonies about what God has done in our lives. Honestly, as a seasoned missionary I thought our gospel presentation was poor and inadequate as the preparations were hastily put together. That first night I went to sleep feeling disappointed in our team and our presentation. The next morning we got up and I had a word with a few of the leaders, not in a negative way, but recommending that we made a better effort to prepare our presentations of Jesus and the testimonies we had. Very soon after that we gathered in groups to discuss and practice a gospel presentation for that evening. Just as we were practicing the main IRIS leader grabbed my hand and motioned that I come with him. He took me to a small bamboo bed where an old Muslim man was sitting. 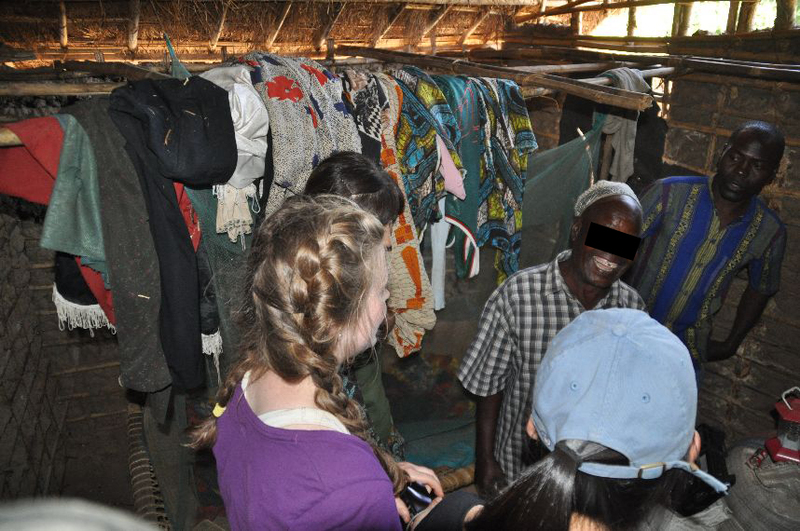 About five of us, some visitors and some Mozambique pastors sat in a circle with the man. Through a translator he explained why he came. The elderly Muslim man, clearly identifiable by his he head cap, told us his name was Mussa. Mussa said he was greatly touched by the movie and in the night he felt he should come and tell us his problem. Since most of our team were women he explained through the men that he had a severe hernia and his testicles had dropped causing him great pain and discomfort. He explained that it was painful to sit, but even more painful to walk. When he walked, he could only go a few minutes before he would need to rest to recover from the pain. The Iris pastor had asked a few of us to come there for the purpose of praying for him, so we began to pray for him. You could tell he was uncomfortable with people praying for him, but desperate enough to allow us to touch his shoulders and pray in multiple languages around him. As his first interaction with Christians, this must have been quite a shock. I asked him if he wanted to believe in Jesus. His reply brought joy to my heart. He said, “Yes” because he has been very touched by the movie about Jesus. Immediately I started to cry. Since my father was killed by Muslims, it has deep significance to me for every Muslim who believes in Jesus. He also shared with us that he had been tormented in his dreams each night. He dreamed that a snake was in a mango tree near him and was threatening him constantly. He would call for help and he would fly over of mango tree to escape the snake. Each night he dreamed this same paralyzing dream. One of the girls in our group had a word from the Lord for him. She describe that at one time he was a very important man, but now he feels overlooked and alone. Jesus wants him to know that he loves him. As Mussa heard those words a surprised look came over his face. Through the translator Mussa affirmed that indeed he feels alone. Not so long ago, he shared, he used to be important and walk beside the President of Mozambique, but now he has been overlooked and abandoned. I told him, that now he was a son of the living almighty God and no longer alone. “Son of God” is far more important than a friend of the President, I explained to him. He smiled. The head IRIS ministry pastor with us, named Antonio, stepped away for a few minutes and came back with a Mozambique piece of fabric. He draped it around Mussa and said it was a way to honor him. I was thinking, “wow, if Antonio did this for everyone who came to Christ, he would surely need a factory to supply all the material”. As we continued to talk with him, he soon invited us all to his house. He assured us it was close pointing in the direction of a clump of trees nearby. We were all excited to visit his home and I was more than happy to get out of a drama practice! We all headed off at a brisk pace following and talking with Mussa. Walking through the village I was so happy to begin to see and experience this small Mozambique village. As we walked, he pointed out the Mosque and other significant homes. The whole village watched us as we marched with Mussa further down the road. Further and further we went. 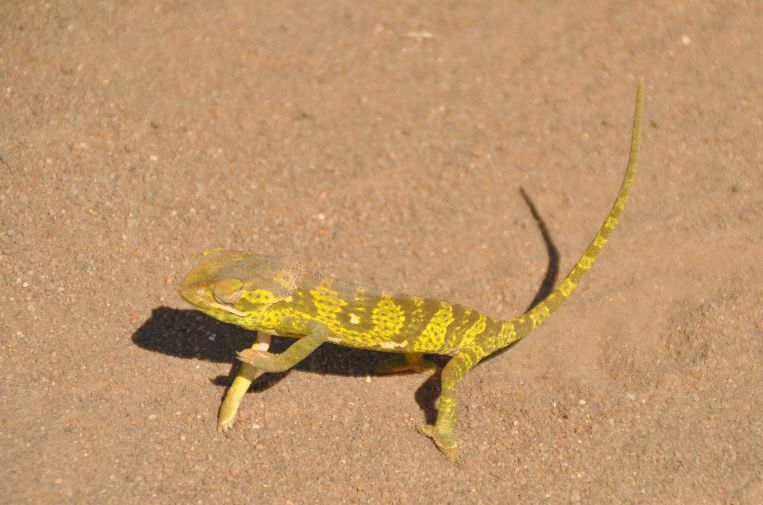 At one point we saw a chameleon lizard which drew all of us foreigners attention. After playing with the chameleon trying to get him to change his colors, we continued. We saw the only water source, some 45 minutes into our walk and it was at this point that we knew Mussa did not live as “close” as he led on. In Cambodia, we often joke that if someone wants you to visit their house they will tell you their house is “close” where it could be miles away. However, if they don’t want you to visit the home they will tell you it is “far” so that you will be discouraged from going to visit. The house could be a s close as a few doors away. Clearly Mussa’s house was “close” as he wanted us to go. Then we went off the main road and continued to walk through the African bush. We didn’t see any homes, but we did see a couple of people working to collect grasses for their roofs. An hour and a half after we began our walk we arrived at Mussa’s house. It was a typical Mozambique home-made from bamboo packed with mud for walls with a grass thatch roof. In front of his house we saw the mango trees he talked about. He invited us inside. The door was barely big enough for my large frame to fit inside and I had to squeeze sideways to be able to accomplish the entry. Inside, it was tiny. They had a small cooking area and a bedroom. We went into his bedroom which was only large enough for the six of us to stand pressed against each other. Inside we prayed God blessings on his house and against the demonic spirits which bothered him in his dreams. 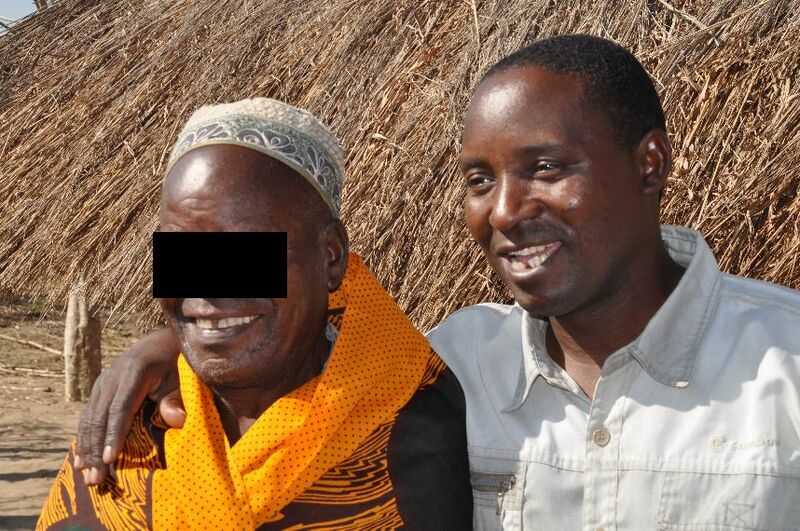 Mussa shared with us that he has been unable to walk such a far distance with the pain from his hernia for some time, however, he walked with no discomfort to his house for an hour and a half. He professed that Jesus has surely healed him! Later pastor Antonio shared with us the significance of Mussa’s conversion. He was not just a “normal” Muslim villager, but a senior leader in Islam for the whole region. Multiple mosques were under his control and his conversion had been genuine. Surely God was about to break out a revival through Mussa. What a privilege it was for me to meet Mussa and testify of the power of God to change the hearts of Muslim clerics! All glory be to God!